Living in Connecticut it seemed like a rite of passage to vacation at Cape Cod, Block Island and Martha's Vineyard. I always heard stories and saw the quaint ocean side photos but never traveled to any of those places. When I had an opportunity to travel to Cape Cod, stay at the Double Tree Hilton at Hyannis and explore & document the places & spaces around I was more than thrilled. I was taken aback by how it juxtaposed a graceful liveliness and a coastal, bohemian artsy serenity. I wanted to write my favorite places + spaces that were dipped in retro loveliness for you. Plush + Plunder is right on Main Street in Hyannis. It features everything from styles ranging from Art Deco, Art Noveau, and Victorian. They have a beautiful array of estate sales finds of gorgeous jewelry, gowns, hats and more. 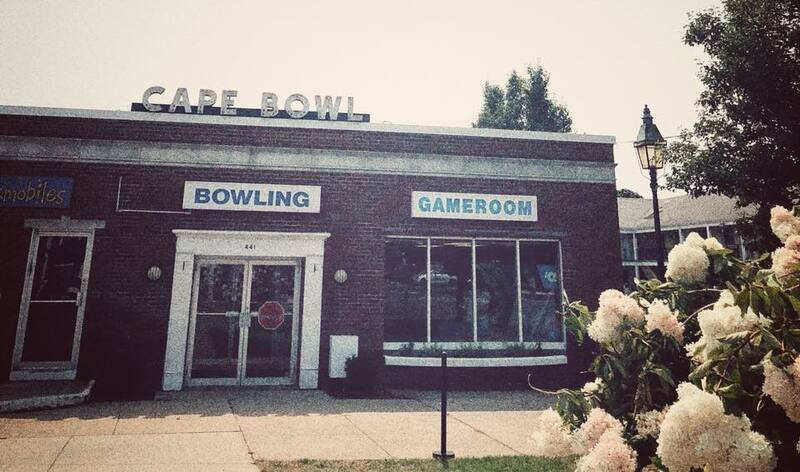 Cape Bowl has a serious retro vibe from the outside but has a modern day 10 pin bowling, arcade and video game inside. Cape Bowl has been owned and operated since 1958 which gives it its vintage aesthetic, Cape Bowl also a light & sound show while you bowl. Wackenhammer's Clockwork Arcade and Carousel is a retro, funky place to have fun! It features a gorgeous classic carousel and a wide variety of arcade games. 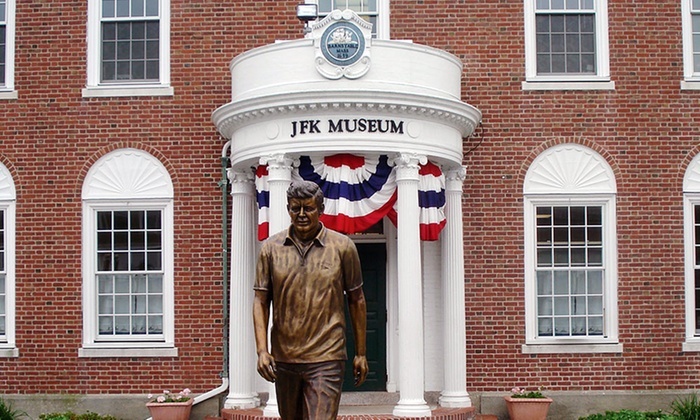 The JFK Museum "features fresh interactive exhibitions, innovative special programming, opportunities for community involvement, and contemporary educational curricula." While I was there they had an exhibit called "Creating Camelot" which featured so many gorgeous photographs of the Kennedy's I never saw before. HyArts Artist Shanties is a gorgeous exhibit that goes "Mid-May through the end of September each year, browse among the seven colorful shanties featuring a variety of local artists who work and sell their wares right from their “seaside studios”. Artwork varies from week to week and includes painting, jewelry, sculpture, glass, ceramics, mariner knot work, wood carving, and much more". It was particularly beautiful to wander around during the evening while all the lights were sparkling!